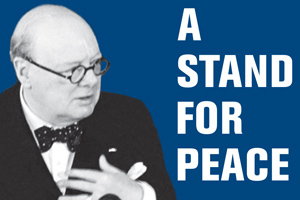 The Virginia General Assembly, in partnership with the Capitol Square Preservation Council, presents an exhibit in the east exhibit gallery of the Virginia State Capitol entitled, A Stand for Peace: Winston Churchill and the Call for Unity. Opening on the 70th anniversary of Churchill’s historic March 8, 1946, address to a joint session of the General Assembly in the House Chamber, this exhibit uses photographs and the words of participants and observers to look at the events of that significant day at the dawn of the Cold War era. Download a brochure for the event with directions.